Omega Force really stepped up to bat for their wonderfully ludicrous franchise on the last couple of canonical Dynasty Warriors games. Roll your eyes all you want at the fact that there are now something like fifty roaming fighters all hewn from the same hack and slash template, but the last time we checked in, Tecmo Koei delivered in spades – a ton of modes, new fighting mechanics, more characters than an East End boozer, and improved aesthetics all round. Just as Spring follows Winter – or in our case, brief sunny interludes and cold follow months of torturous flooding – any Dynasty Warriors game is followed by an Xtreme Legends pseudo-sequel/spinoff, and numero ocho is no exception. Japanese fans have already been playing it for a while (it was a launch title for the PS4 out in the East) but this is the first time we’ve got our hands on 8: Xtreme Legends . For newcomers, this represents a hugely generous entry point that provides probably the best way to acquaint one’s self with an intimidatingly huge library of games. For those who already own the original game, it is a beefy expansion pack that improves on an already fine instalment. Romance of the Three Kingdoms is a lengthy and complicated epic that can be tricky to keep up with, particularly when Omega Force start importing characters from other games and mixing things up. Xtreme Legends builds on the already bulging character roster, providing a meaty new story mode starring Lu Bu – the legendarily-flawed warrior who was both a legit part of Chinese history, and a fictitious presence in Luo Guangzhong’s novel. Choosing such an interesting character was a good move, and his inclusion along with five other playable newbs is a welcome one. Anyone familiar with the source material knows that things don’t necessarily end particularly well for old Lu – with things culminating in a satisfyingly grisly end. Story mode is fleshed out to include new scenarios for several other characters. Some of these are larger than others with full historical paths for you to enjoy, with other faces given a few extra sorties each. There are new stages in which to enjoy the additional battles, with the Xiapi area and its gargantuan castle being particularly memorable. When all is said and done, there is a good eight hours of extra story mode on offer, which is not to be sniffed at. 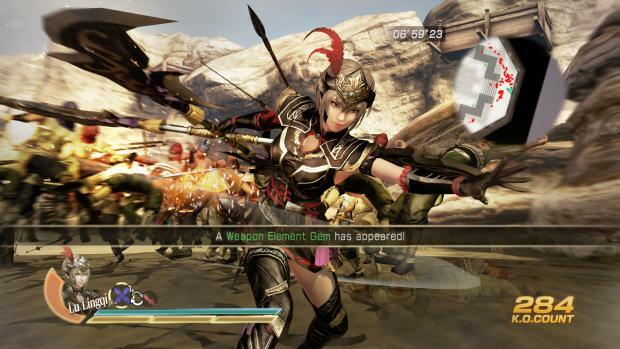 The core mechanics of Dynasty Warriors have not been tinkered with to a huge degree, but there are a few fairly significant changes, such as a bonkers new “Nightmare” difficulty mode, an additional EX attack for all characters, a new sixth grade of weapon for all weapon types, new elemental buffs that can be applied to your arsenal, a raised level cap (oddly increased to 150 from 99) and the ability to take three bodyguards into battle using the system that worked so well in DW 8. The counter system is as fun to play around with as ever, and you can now manually trigger Storm Rush mode using a simple button press. One particularly handy new feature is the option to view only the health bar of the enemy general. Anyone even vaguely au fait with the series will know how hectic things can get, so being able to keep an eye on this key statistic during the carnage is useful to say the least. 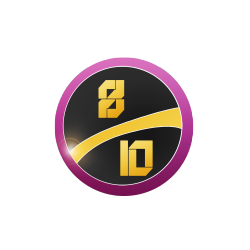 Free Mode has a cool new ranking system, allowing you to earn more XP depending on how effectively you ace a stage. Elsewhere, mainstays from Xtreme Legends of old make a comeback or are enhanced with additional bells and whistles. Challenge Mode, most of which is re-hashed from Dynasty Warriors 7: Xtreme Legends, places you in one of five different scenarios, each with wildly different conditions and a level cap of just 30 to play with. Comet asks you to send your enemies – who don’t take damage in the traditional sense – over the edge of a play area constructed from a series of awkward, narrow platforms. Choosing weapons that push enemies away is the order of the day, as you attempt to stay on the platforms yourself and avoid death in a kind of crazed Royal Rumble. 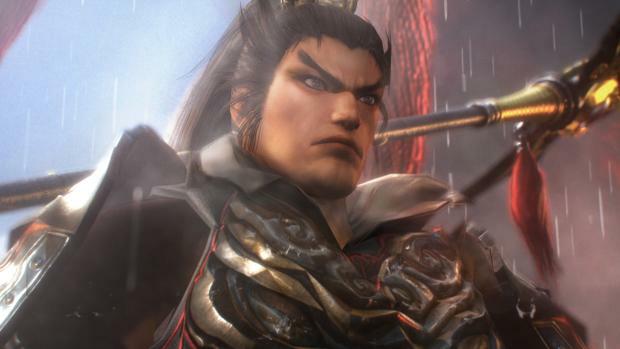 Thunderclap asks you to get from one end of a hellish course to the other in as fast a time as you can muster, while avoiding a bunch of ridiculous enemies, both man and beast, and the lunatic attentions of Lu Bu. Similar in execution is Inferno, which combines the course of Thunderclap with the obstacles of Comet, and simply asks that you eliminate all of the enemies in the area within the allotted time. Storm plonks you into an enclosed arena and involves killing as many people as you possibly can against the clock, with Lu Bu randomly appearing to try and prevent you from doing so. The quaintly named Hundred Flowers is the best of the lot: a kind of boss rush that sees you facing off against all of the Officers in the game, one after the other. The quasi-tactical Ambition mode receives new content once you have finished the original task of constructing the immense Tongquetai Palace. The ominously-named Territory Supression allows you to build up a team of Officers to – for want of a better expression – conquer large swathes of China. 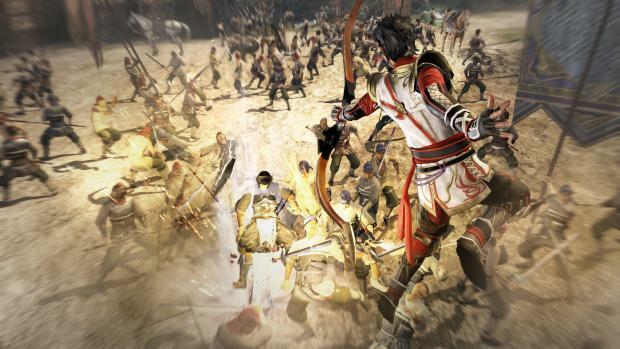 It is Dynasty Warriors: Empires-lite, but features a hell of a lot of repetition and re-playing battlefields over and over again in order to unlock the Officers needed to get the job done. VERDICT: Although it is essentially a big chunk of downloadable content, with no major aesthetic improvements on the original game, there is plenty of worthwhile action in Xtreme Legends – another mightily fun carve-up from Omega Force. Aside the upcoming Complete Edition on PS4 and Vita, Hyrule Legends is next on the agenda for the DW developers, and chances are that their involvement with Link will be far more closely scrutinised. For now though, this is a fine way for the kings of pop-up, wildly inappropriate rock music and mental battlefields to bow out on last-gen hardware.